The Engineers retained the Pacific Cup they won last year with a 1-1 series draw this year. The Engineers defeated the Kytes by 70 runs to earn the draw after Kytes had won the first match early in the season. The third match of the three series is abandoned due to lack of time this year. 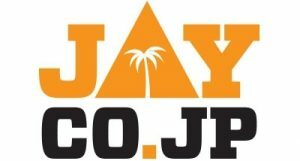 Pacific Cup is a three match series between the Indian Engineers and the Shizuoka Kytes started last year, the first edition of which was won by the Engineers 2-1. Like last year, the Kytes had won the first match this year as well, which was also the KCL league match. After a couple of washouts, it was decided between the teams that only two matches will be played this season and a draw would enable the Engineers to retain the Cup. The small bouts of rain on the way to the ground not withstanding, the weather turned out to be excellent at Shizuoka. 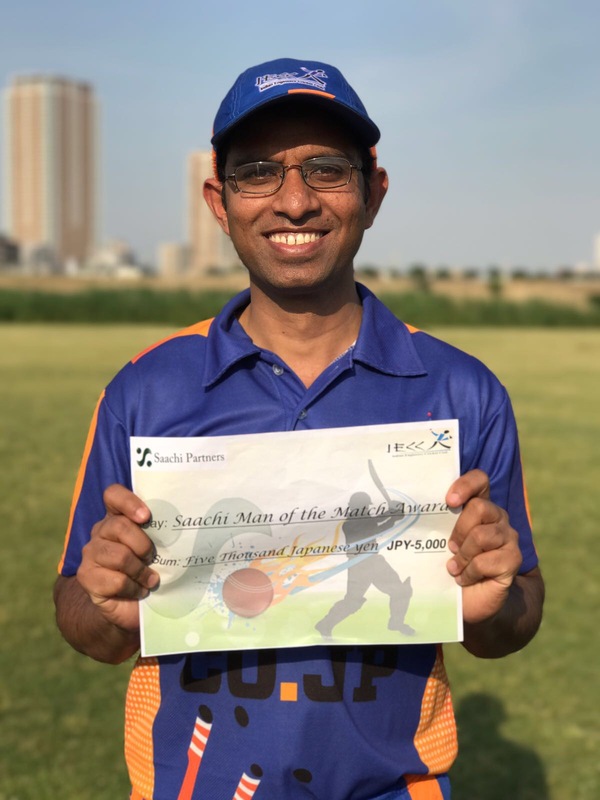 The bright sunshine mixed with the cool weather of the late autumn day made the perfect foil for a great day of cricket. The Kytes won the toss and stand-in-skipper Neil Harrison asked the Engineers to bat first on a somewhat damp pitch. The grass on the outfield was cut beautifully in oval shape with the amount of grass on the cut and uncut part so conspicuous that there was no need for any boundary marker. Nick Shannon claimed that he spent his last two weekends cutting the grass but Robert disputed the claim saying Nick did nothing but drinking loads of beer at the ground while he cut the grass and had the dual job of carrying the grass cutter and Nick back home at the end of the day. The Engineers started their innings disastrously, which has become customary of late, by losing both openers within a span of couple of overs and two down Ganesh following the openers soon. Silvester came in to replace him, well protected with a helmet, arm guard and thigh pad in an innocuous pitch. Seeing the batsman in full battle gear, R. Hutton decided to have a go at him and tried bounce a couple of deliveries, which actually were called wide. Silvester immediately sensed danger and realised that batting on an occasional variable bounce pitch is not his cup of tea and promptly claimed hurt and was ushered into the team bus parked aside where he spent the rest of the day. With the star batsman incapacitated and three back in the pavilion with only 42 runs on board in the 9th over, there were fears of a collapse, as was the case in the previous few matches. 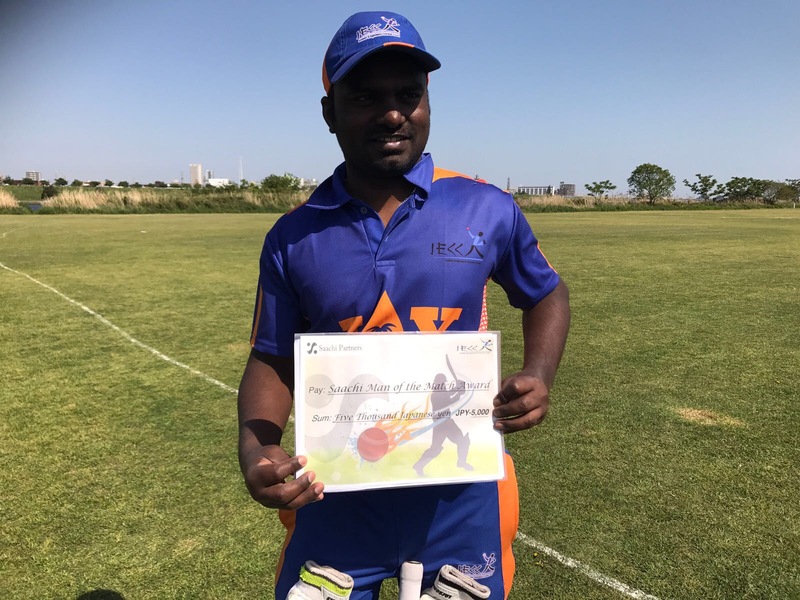 But one down Viswa Ghosh this time did not disappoint, revealing his class with a brilliant 53(6×4, 2×6) and in the company of Jagan, 36(4×4, 1×6), put up 43 runs for the 5th wicket. In fact, none of the remaining batsmen disappointed. Each one of them enjoyed their time in the middle hitting the bowlers at will. Vikram 33(1×4,4×6) and Rahul 25(3×4,1×6) were the next best contributors. Yours truly added stability at the tail with a six over mid-wicket, the first one in recent memory(details available on request), but the explosive innings of 10 runs was curtailed by a delivery which Nick, the bowler, described as “f***ing beauty”, that caught him plumb in front. In all, eleven sixes were hit but surprisingly, no ball was lost. Engineers scored 215/9 off 30 overs. R. Hutton bowled impressively for the Kytes with 1/23 off 6 overs. Engineers took to the field with ten players, having left Silvester in the cozy comforts of the team bus, away from the afternoon chilly breeze. The “French Indian curry” served for lunch didn’t seem to spur the Kytes much as Jagan broke through the opening partership in the 3rd over by claiming R. Hutton’s wicket. At drinks, Kytes were even(84/3 off 17 overs) with the Engineers who were 85/4 at the same stage, thanks to a 21 runs over by this correspondent. But a two wicket over after the drinks by Ganesh, including that of the dangerous Anton McCloy, more or less sealed the fate of the match. However, the Kytes didn’t give up, dispatching anything lose to the boundary with gay abandon. 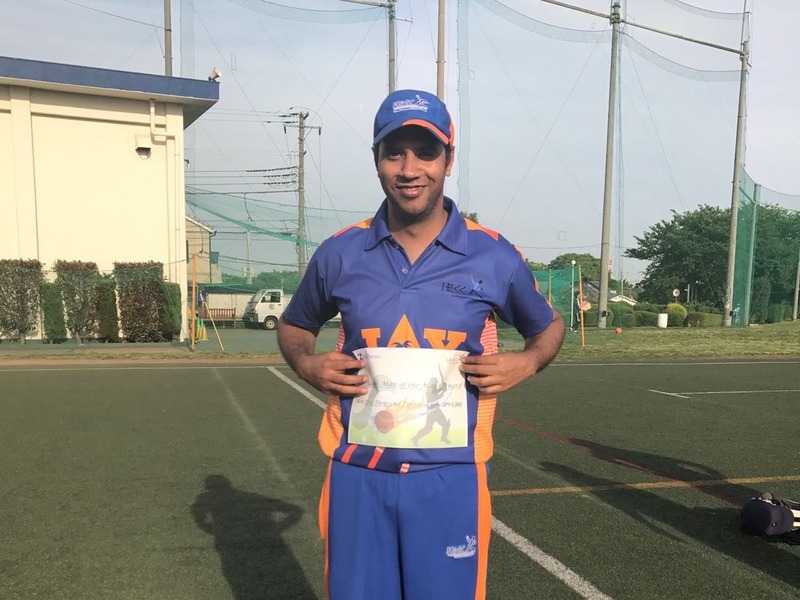 But in the end, the imposing total, which actually helped this writer to bowl an economical spell of 4-0-48-2, was proved to be beyond the Kytes reach and were bowled out for 145 in nn overs, Anton McCloy being the top scorer with 23 runs, the next higest being K. Ishikawa’s 20. Surprisingly or otherwise, wides were kept less than 20 by both teams. The Engineers thus retained the Pacific Cup for the second straight year. A special thanks to Robert for the curry lunch.